From 2008 to 2011, I developed a series of weekly podcasts for the Northwestern Alumni Association. Learning Tracks and Career Tracks were drawn from lectures and webcasts sponsored by the NAA. ‘Cat Tracks was created from in-person interviews with Northwestern University alumni. Collectively, the three series resulted in tens of thousands of annual plays and downloads. Northwestern’s trip to this year’s Outback Bowl ended in a loss to Auburn University from the college football powerhouse Southeastern Conference. A trip to the postseason is something Wildcats fans can realistically hope for at the start of every season, but that was not always the case. 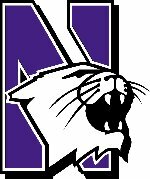 In the late 70’s and early 80’s, Northwestern set a record for consecutive losses before breaking that streak in a game against Northern Illinois. Doug Grad (C84) and Joan Wicks (C84) were there. ‘Cat Tales is a production of the Northwestern Alumni Association. If you would like to share your Northwestern story, please email cattracks@northwestern.edu.